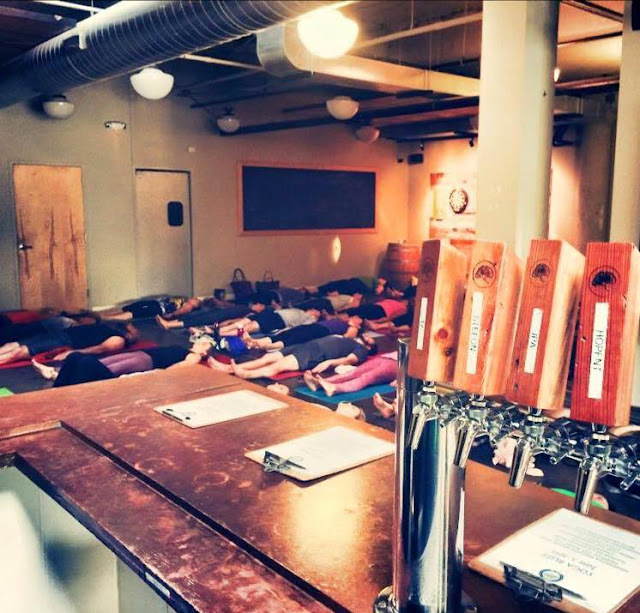 This past Tuesday I was able to attend an event hosted by, the St. Louis based company, Yoga Buzz. To say the event was so much fun would be a complete understatement. 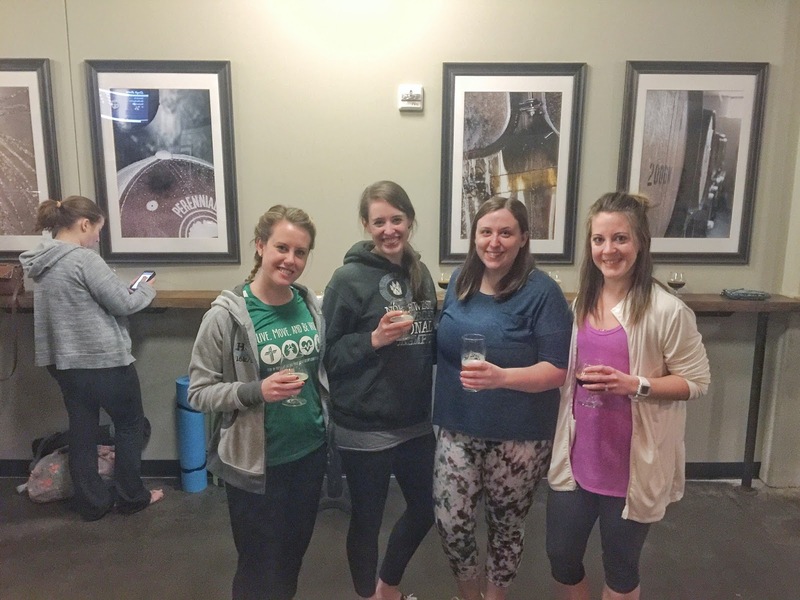 I have only ever taken one other yoga class prior to this one, it was at the Chase Park Plaza last year (you can read about that experience HERE). I was reading into the Yoga Buzz business and immediately fell in love with their whole mission, which is to make yoga inclusive to everyone, despite their limits, whatever they may be. Their goal is to open a yoga studio that is ADA compliant, to help everyone to enjoy the beauty and joy that yoga can bring! The yoga session was amazing, the atmosphere was perfect, which was a little bit exciting given we were in a brewery! I just can't say enough good things about the entire experience and also the Founder and Instructor, Elle Potter. I felt so welcomed by her and really look forward to more yoga with her!! They have so many upcoming events and I plan on attending many more! This Summer they will be hosting two free days of yoga sessions for Earth Day, they will also be teaming up with Club Fitness to offer free yoga sessions all throughout the Summer down in Ball Park Village! Be sure to check out their list of events on the website HERE and if you are ever in the St. Louis area be sure to check it out and attend a specialized event! I, personally, will be attending many of the free events being put on by Yoga Buzz this Summer along with other events as well! I'll be sharing the events I will be attending on my Facebook Page so be sure to check it out and come join me! !